If you’re looking for the right tools to enhance the quality of performance in both your home and business, look no further! 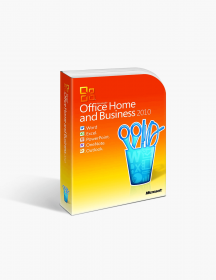 Microsoft Office 2013 Home and Business will be the perfect companion on your journey of perfecting your work by offering all the necessary apps for the purpose. Besides possessing all the right features, the new clear and more user-friendly interface of the apps is designed to assist you and help you work more efficiently than ever. This pack, minimalistic as it might be, includes all the basic apps for your business’ development as well as for your personal progress. Perhaps the most popular text editor in the world now comes to you new and improved. Word 2013 has managed to remain the favorite app for creating and editing documents thanks to its easy use and reliability. Microsoft’s own spreadsheet and database software remains one of the best out there. Excel 2013 is more powerful than ever and perfectly equipped according to the latest business needs. Created to suit your every need, PowerPoint 2013 keeps its position as the perfect aid in presenting information, giving you an array of tools and functions for designing the ultimate presentation. More than just a blank page for you to put down ideas, OneNote 2013 gives you the means to plan everything from a simple to-do list to important large projects. What’s more, it’s fully suited to allow you and your co-workers, partners or employees to collaborate on projects with ease. The last thing you need for guaranteed productivity and efficiency is communication and organization. 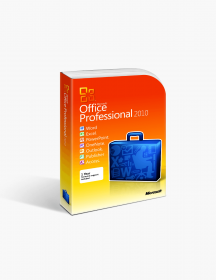 Fortunately, Outlook 2013 is included in the Home and Business pack to provide you with the perfect means of connecting with people via email, arranging your tasks, marking your deadlines and setting reminders. Microsoft always strives to put out the best solutions to the customers’ needs and this office suite is no exception. Besides from the new design, the apps have received feature and tool updates as well. Below are some of the most prominent features the 2013 Home and Business pack is equipped with. Not simply good-looking - As was already mentioned, the 2013 office suite comes completely visually revamped. But it’s not just for the looks - the design is more intuitive and reduces distractions so that you can put all your focus into your work. Work from anywhere - One of the best innovations in the new version is the Cloud services integration which allows you to store your work online on your SkyDrive so you can work wherever you are without limitations. You also have the option to synchronize all of your Microsoft accounts on different devices for easier work-flow. What’s more, MS Office now supports devices with touch screen. MS Office on all your devices - The 2013 office pack gives you the advantage of working on your smartphone, tablet or even on a personal computer that does not have the MS Office pack installed. All you need to do is use the Office On Demand service which allows you to run Word, Excel and PowerPoint on your devices temporarily. Edit PDF files with Word 2013 - You can now not only read PDF files in Word, but also easily edit the new PDF editing feature of your favorite text editor, thus saving yourself the time and money of looking for a PDF file editor. Another great new feature is the reading mode, which enables you to read long documents without distractions by hiding the Ribbon and anything else that may get in the way. You also get a number of free new templates ready to use for your next project. Excel 2013 does the job for you - With the new interface, Excel is now more user-friendly than ever, meaning that you won’t waste time wondering where the tool you need is. It includes functions like Quick Analysis, Recommended Charts and Recommended Pivot Tables which can facilitate you in processing your data. The Flash Fill tool will also be your devoted assistant and save you time by recognizing your typing patterns and auto-completing the remaining information for you. Present effortlessly with PowerPoint 2013 - PowerPoint 2013 has to offer exciting new features to those of you who rely on slide presentations as a main information medium. With the newly incorporated tool called Presenter View you are able to see your notes while the audience is able to see only the presentation itself without the need of a second monitor. Another new feature is the Present Online option which enables you to present online in real time and gives the viewers the ability to download your presentations. Collaborate on projects with OneNote 2013 - Microsoft Office developers know that one of the most important features the customers look for is the ability to work on projects together with their co-workers and partners. That’s why OneNote 2013 is the ultimate collaboration app for not just putting down ideas, but planning important projects with all tool necessary in just one app. You can create charts and tables, insert images, audio and video. OneNote 2013 allows you to save your files online and access them from various devices as well as share them with other people. Get organized with Outlook 2013 - Organize all your tasks in one single app! Outlook 2013 allows you to control all your email accounts and to receive notifications from your social media accounts thanks to the Exchange ActiveSync technology. With this new version you can also see all contact information in one place and to schedule meetings and contact people straight from their contact card thanks to the People Card function. The search option is also greatly improved to help you find the necessary information more quickly. The MS Office 2013 Home and Business is the perfect choice for you if you wish to be better at what you do and increase your productivity. Easy to use interface and quintessential sets of tools in every app save you time and effort, so you can focus on what’s important - producing the best end results possible. 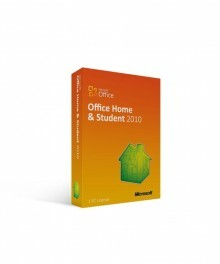 No matter if you are a student, if you work from home or you manage your own business - this version of the office suite is extremely versatile as it includes just the right apps to assist you in your school assignments, daily tasks and business projects alike without making a compromise on quality. It’s a great choice if you don’t want to spend your money on packs including apps you wouldn’t need. Now you have the freedom to create and edit files on your mobile devices and easily save and share your files through your SkyDrive. Whether you’re travelling or don’t have access to your personal computer, MS Office literally at your fingertips, so you can be productive wherever and whenever you want. 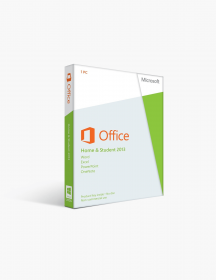 And you don’t even need a exceptionally fast device to run the Microsoft Office 2013 Home and Business pack, as it’s designed to run smoothly on all devices - even older and slower computers. things went very smoothly for me, as opposed to the usual digital download. I had no problems at all, thanks. Appreciated the phone call to make sure I was the one who made the purchase. Quick, easy, and simple instructions. Fairly easy to install, help screen was very useful.